I know that when I’m looking for a vape shop near me , not just any vape shop will do. It’s what gave me the idea for Vapura. Almost every vape shop near me I visited in Ireland, seemed to be lacking in something and I wanted to start a business that gave our customers everything they wanted and more. When visiting your favourite café every Saturday, what keeps you coming back time after time? Is it the quality of the coffee, the attentiveness of the staff or the good value? It’s not just one of these factors but a fine combination of all of them. So then why should your local vape shop be any different. If a vape shop has the widest selection of e-cigarettes but doesn’t stock the coils, it can leave you frustrated. If you’re having issues with your device and find the person “assisting” you knows less about vaping than you do, it can remove the confidence you have in their business. If the vape shop has unpredictable and short opening hours, you could waste time making a trip out to find they are closed. You expect and deserve something better. 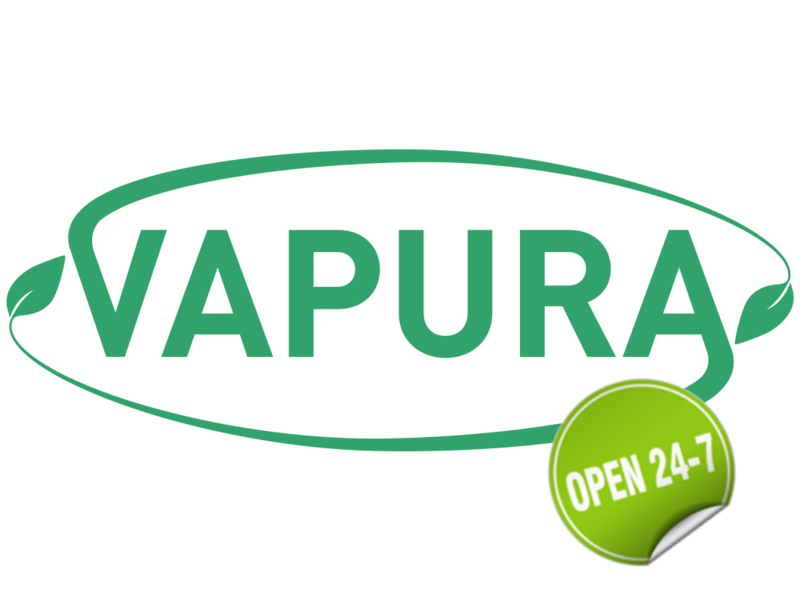 Here at Vapura, we are the reliable vape shop near you 24/7. Not only do we have one of the widest ranges of e-cigarette and vaping equipment in Ireland, we stock all the after care products you need after purchase. If we sell the e-cigarette, we sell the coils, tips and replacement glass for it guaranteed and know the device inside out. Even though our flagship store in Blackrock, Co.Dublin has the longest opening hours in the whole of Ireland, our online platform is always open with 24/7 web chat support so that you’ll never have a query left unanswered by one of our expertly trained support team. Feel free to browse our amazing range of e-liquid flavours and to check out our monthly specials, knowing your are buying in confidence. We also have all the e-liquid or e-cigarette hardware stock we advertise on our website. This means we can deliver what you need, when you need it. For every order placed before 2:30pm we have it dispatched the same day. Because of our unrivaled stock management and delivery systems, over 94% of our online vape orders, be it membership or one off shop purchases, are delivered next day at no additional charge to you. Remember, Vapura aren’t just with you today but as long as vaping is a part of your life. You’ve worked hard for your money, so we work just as hard to make sure that it is money spent in confidence.